Jakarta: The central bank has revealed that major changes will be made to Indonesian banknotes and coins and that they will soon display the images of a new set of national heroes, in addition to improved security features to prevent counterfeiting. "Bank Indonesia will immediately prepare the design and issuance mechanism, which will be done and announced this year," Bank Indonesia director Arbonas Hutabarat said in a statement on Wednesday (14/09). The central bank did not provide an exact timeline. The statement came after Cabinet Secretary Pramono Anung said earlier on the same day that President Joko "Jokowi" Widodo wants the country to show greater appreciation of its national heroes and promote patriotism by featuring their faces on all banknotes and coins. Details of the new designs are not yet available, but a new list of national heroes has been issued by presidential decree. This now includes I Gusti Ngurah Rai and Tjut Meutia among several others, whose images will be displayed on the Rp 50,000, Rp 20,000, Rp 10,000, Rp 2,000 and Rp 1,000 banknotes. 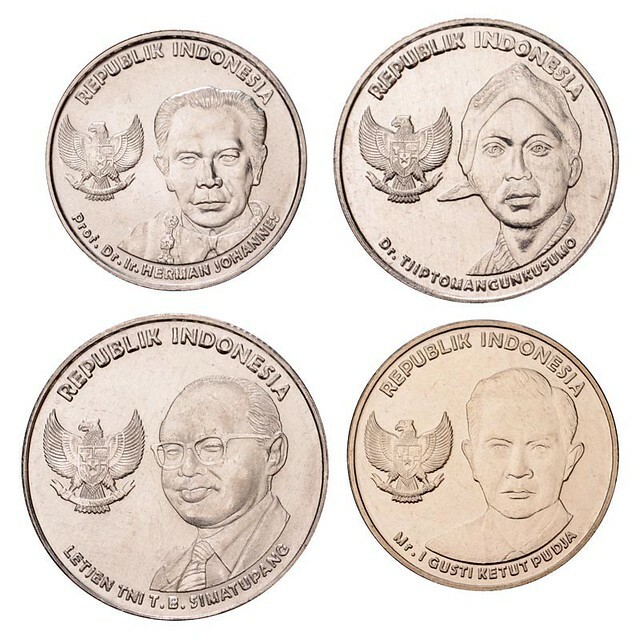 The decree also mandates the images of national heroes to be displayed on the surfaces of the Rp 1,000, Rp 500, Rp 200 and Rp 100 coins. These currently show the Garuda national symbol, a jasmine flower and indigenous birds. Despite the major changes, the government is keeping the images of Indonesia's founding fathers Soekarno and Mohammad Hatta on the Rp 100,000 note. Use of the names and images of the Indonesian national heroes in question has been approval by their respective families. What happened to the currency reform that was planned few years back? Did it actually happen (which I missed ) or not done at all? This image shows which hero will be featured on what denomination. The photo also shows to some extent what the coins will look like (these are not the official designs). I Gusti Ketut Pudja (1908-1977): Indonesian politician and first governor of the Lesser Sunda Islands. T.B. Simatupang (1920-1990): Soldier who served during the National revolution. Later chief of staff of the Indonesian Armed Forces. Tjipto Mangoenkoesoemo (1886-1943): Prominent Indonesian independence leader. One of the founders of the political party Indische Party. Herman Johannes (1912-1992): Professor, scientist and politician. Bank Indonesia (BI) is set to print banknotes and mint coins with new designs following the issuance of a presidential decree that has approved the use of images of 12 national heroes for them. It is expected the new banknotes and coins will be in circulation this year. Arbonas said the use of the images of 12 national hero on the new banknotes and coins was intended to introduce them to all Indonesian people and to foster the spirit of heroism and patriotism. - Image of national hero Prof. Dr. Ir. 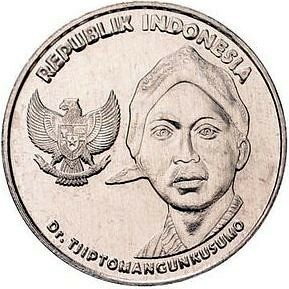 Herman Johanes as the image on the front part of Rp.100,00 (one hundred rupiah) coin. I think it should be Rp. 1000,00 coin, which makes the list complete (4 coins and 7 banknotes). 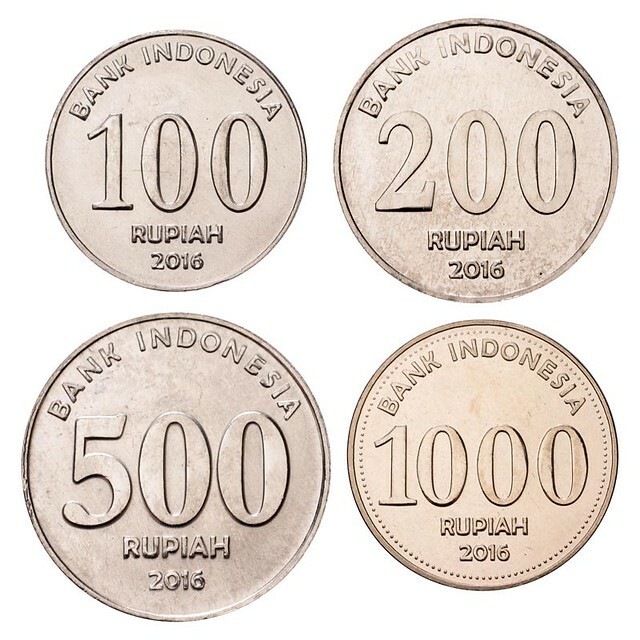 It appears that 1000 Rupiah as a coin is likely to be dropped. Final decision will be in December 2016. New coins and banknotes started circulating today. And no, the Rp 1000 coin was not dropped, according to article in Jakarta Globe. The designs can be seen below. More information about the people who are depicted on the coins can be found here. The unveiling ceremony was Livestreamed on Youtube (starts at 23:42). Jakarta. Indonesia's central bank governor said on Monday (19/12) the bank is seeking to slash three zeroes off the face value of rupiah notes in a move to simplify it currency system. Bank Indonesia (BI) Governor Agus Martowardojo said he has asked President Joko Widodo to revive a previously shelved plan to redenominate the rupiah to make it "more efficient and simpler". A draft law backing redenomination was submitted to parliament in 2013 under the previous government. However, the draft was put aside due to instability in Indonesia's financial markets at the time. If parliament approves a revived bill next year, the central bank would need two more years to prepare new notes. It would then need another seven-years of transition before it could fully remove three zeroes from the currency, he said. "Prices of goods and services have to also be simplified. Because of the transition period, in which people can use both the old and new rupiah denominations, we are sure it wouldn't affect inflation," Martowardojo said at the launch of a new series of designs for the physical currency. The largest rupiah denomination is currently 100,000 and the smallest note is 1,000. The central bank's new currency designs will be for notes that use the current denomination system and will feature images of historic Indonesian figures. Indonesian Finance Minister Sri Mulyani Indrawati said the rupiah's many zeroes reflected the currency's inflation history and that she would discuss the proposal with parliament with a view to introducing it next year. However, she said the proposal is not on the list of current legislative priorities for 2017. "A redenomination would strengthen assurance in Indonesia's currency, but it does not affect anything nominally," she told reporters at a separate event on Monday. Very strange decision to put beads around the rim on the reverse of the 1000 Rupiah coin. Image copyright Royal Dutch Mint. While looking at another topic I came across this image of one of the coins that are part of the latest circulation coin series of Indonesia. I think the coin looks quite strange with his right ear missing and instead what appears to be a part of his headscarf sticking out. Furthermore what I don't quite understand is that his first name Tjipto and last name Mangunkusumo were written as one word. Although I did find search results in which the name is being used as one word, all of these appear to be from 2016 and after. It’s customary in many parts of of South And south east Asia where people only have one given name.